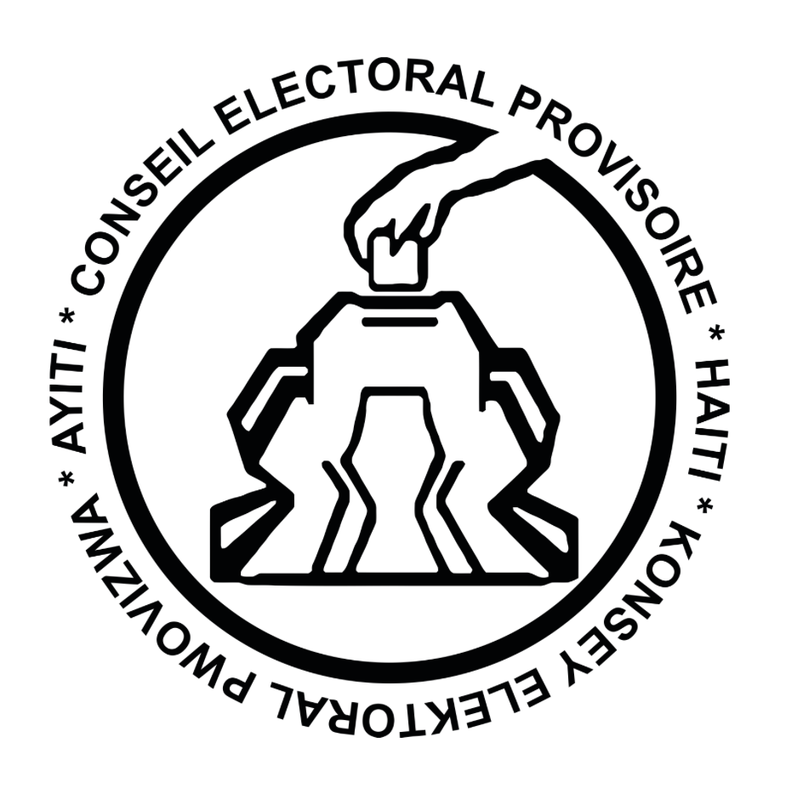 It has been over a month since Haiti’s Conseil Electoral Provisoire (Electoral Provisory Counsel), known as CEP, published its foreknown controversial fraudulent results for the first round presidential and second round legislative elections. The CEP’s preliminary results for the presidential elections placed President Michel Martelly’s hand-picked candidate Jovenel Moise of Parti Haïtien Tèt Kale, or P.H.T.K in the first place with 32.8 percent of the popular votes. Jaccéus Joseph, a member of the electoral council, qualified the results as unacceptable. Miami Herald’s Jacqueline Charles reported, Joseph refused to sign “the presidential and legislative preliminary results” because of irregularities and frauds that plagued them. Joseph thought his refusal to endorse the results would prompt the Tabulation Center to verify “the allegations of electoral fraud, including checking the voter registration lists against the ballots cast in the Oct. 25” elections to avert an unnecessary electoral crisis. Despite Joseph’s insistence on verifying and correcting the irregularities and frauds threatening the credibility of the results, CEP’s President Pierre-Louis Opont decided to publish the tainted results. The electoral crisis that was avoidable is now becoming an inevitable crisis. This man-made electoral dispute could further derail the political and social stability of the country. Following the electoral process, eight presidential candidates known as G8 filed complaints before the electoral court. The court confirmed that there have been frauds, and the CEP agreed. To address the electoral frauds, the CEP proposed to meet with the G8 to listen to them and address their concerns. During the meeting, the candidates denounced the irregularities and massive frauds that tarnished the credibility of the preliminary results; they demanded that an independent commission be formed to investigate the alleged frauds before scheduling the presidential runoff. Opont declined the request, concluding that the electoral result is final and the runoff is straight. Fanmi Lavalas presidential candidate Dr. Maryse Narcisse whose CEP’s result put in fourth place, argued that the results were marred with frauds and demanded that the CEP investigate them. The Le Bureau du Contentieux Electoral National (National Electoral Complaints Bureau) (BCEN) allowed her to go to the Tabulation Center and randomly pick 78 tally sheets from more than 13,000 sheets. The candidate discovered irregularities in some of the sheets, and others were completely fraudulent. The frauds and irregularities were in favor of the ruling party candidate. The CEP jettisoned the 78 tally sheets. Dr. Narcisse insisted that Moise be removed from the process according the electoral laws. But the CEP has rejected her call. As Haitians continued to take on the streets of Haiti’s major cities to abort another 2010-style electoral fiasco, religious leaders (Catholics and protestants), national and international human rights groups and electoral observers decried the results and urged the CEP to investigate the electoral frauds that are clearly no longer mere allegations. In a press release the Conseil National d’Observation Electorale (CNO), le Conseil Haïtien des Acteurs Non Etatiques (COHNANE), la Solidarité des Femmes Haïtiennes (SOFA) and le Réseau National de Défense des Droits Humains (RNDDH) blamed the CEP for failing to act on the BCEN’s decision. “Indeed, the verdict of BCEN allows to conclude that the issues found in the samples largely reflect the vote was tainted with irregularities and frauds,” the note states. Surprisingly, the United States and the rest of the international community have remained silent, though they continue to play a behind the scene role by meeting with candidates and groups in the civil society. However, the U.S. Envoy and former U.S. ambassador to Haiti Kenneth Merten told The Tico Times that the current electoral dispute is nobody else’s business but the Haitians’. He said,“This is a Haitian election. We can’t say the elections were great and the outcome was perfect because we don’t know yet.” But why did the U.S. government disburse over $30 millions in these elections? This is atypical position of U.S. govt. compared to previous country electoral crises. The most recent was the 2010 presidential election when then-U.S. Secretary of State Hillary Clinton rapidly debarked in Haiti to press Haiti’s then- President Réné Préval to accept the recommendation of the Organization of American Sates’ (OAS) electoral investigating commission to remove his party’s candidate Jude Celestin from the presidential runoff and replaced him with Martelly. It was later reported that the U.S. threatened to depose Préval if he resisted the OAS’s recommendation. Finally, Préval was forced to accept US-backed OAS’ electoral result. Martello rand and defeated Mirland Manigat, Haiti’s former first lady and university professor in the controversial runoff. Many decried this election an electoral disaster, and others called it an electoral coup, but the U.S. and the rest of the international community praised it as a successful election. Today people continue to express their desire to see the international community takes meaningful steps to help resolve the current Haiti’s electoral dispute. An opinion article published by the Miami Herald in which the unknown author called on the U.S., O.A.S and European Union to reach out to the CEP to end the electoral crisis. What the author should know is that while some diplomats may wish for fair and democratic elections in Haiti, it is unclear that their countries will support such democratic process. A group composed of mostly influential western diplomats, known as CORE group, has endorsed Martelly by offering their unconditional support to his administration since the day he took office, and there is no sign they will withdraw their endorsement. The government has recently formed a special commission in hope to hammer a deal to end the electoral dispute. Lavalas candidate Dr. Narcisse wrote on her Facebook page, “The Position of Fanmi Lavalas is clear: No meeting with commission formed by the executive (government).” The G8 continue to demand that the electoral frauds be investigated by an independent commission, the reform within the electoral council and the national police to guarantee the credibility of the electoral process. It is obvious that the CEP has lost its credibility as a trusted institution to organize fair, credible and democratic elections for the country; people, religious leaders and advocacy groups have exhorted the CEP to get to the bottom of the electoral frauds; the international community quietly try to influence the outcome of the electoral disputes. Meanwhile, thousands of the earth-quake victims continue to live under makeshifts tents, and the national currency continues to devaluate against the U.S. dollar. While the CEP has failed to organize fair, democratic and credible elections as prescribed by the constitution and the electoral laws, Haitians have resisted another electoral debacle. The CEP and the government are running out of time, they have to find a way out of this crisis and to save the country from a political and constitutional quagmire at the end of Martelly’s term on Feb. 7 of next year. Under Haiti’s Constitution the president has to leave office upon completing hi 5-year term. The presidential runoff is scheduled for Dec. 27, though is uncertain if it will take place.